Nominations have been extended for two programs that recognize, encourage and provide funding to faculty members for innovations and excellence in undergraduate education. The new deadline is Feb. 9. 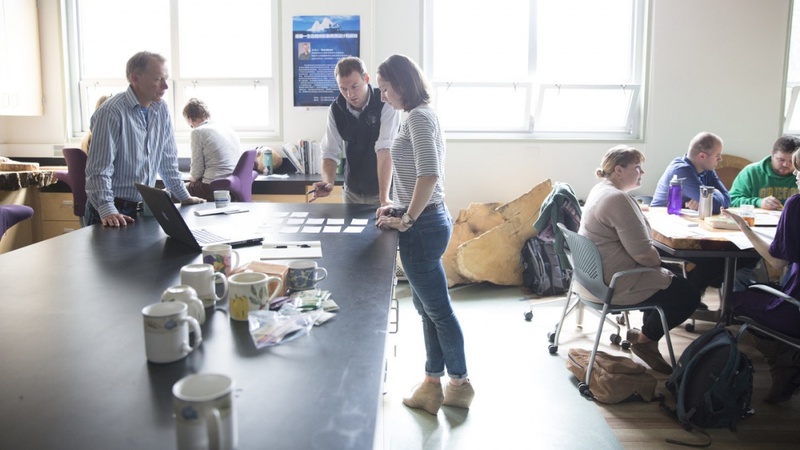 Both programs are run by the Williams Council, made up of UO faculty members who have been recognized by their peers for innovative teaching. With a goal of challenging outdated models of education and rewarding teaching excellence, the council invites faculty to apply for two types of funding, Williams proposals and Williams fellowships. The Williams Council was developed in 1995 when Carol and Tom Williams established a fund to provide support for initiatives that enhance the quality of the educational experience for undergraduate students. Since then, the Williams Fund has recognized 32 faculty members and funded 99 proposals. For the Williams Instructional Proposal program, individuals or groups of faculty members may submit proposals to develop curriculum to engage students in active learning and new methods of thinking, said Elly Vandegrift, a council member and 2016 Williams fellow recipient. As an example of successful submission, Vandegrift points to the 2017 proposal from Kate Harmon, instructor of business, and Julie Haack, senior instructor of chemistry and biochemistry. The pair earned funding for Sustainable Invention Immersion Week, a co-curricular intensive summer entrepreneurial boot camp for students. The program emphasized an interdisciplinary approach to the development process and the green business model. The William’s fellowship program recognizes individuals who have made outstanding contributions to undergraduate education, providing them a $5,000 award. An additional $5,000 award is provided to the faculty member’s department to fund student learning experiences. The council is seeking nominations from faculty peers and unit heads. Julie Voelker-Morris, was named a 2017 Williams fellow. Voelker-Morris is a senior instructor of arts and administration in the School of Planning, Public Policy and Management. She teaches courses in arts and culture management and comics and cartoon studies and leads first-year programs. Williams proposal submissions and fellow nominations are due by Feb. 9.